The super space saving design is made from UNI-BEAM construction. 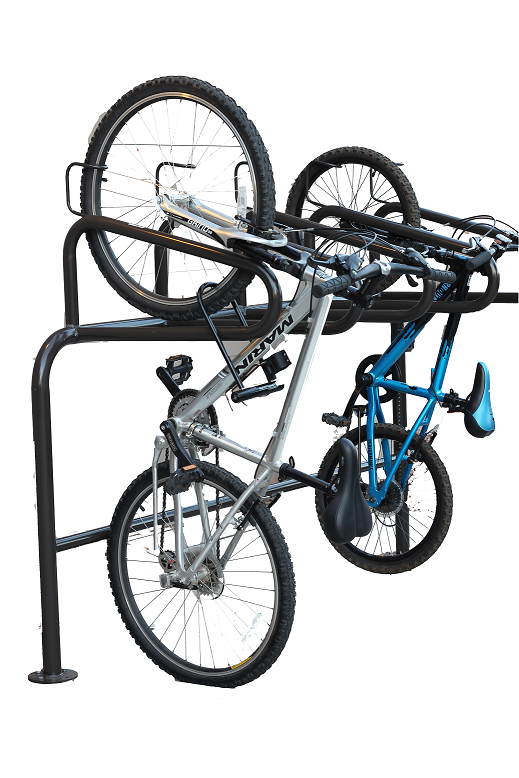 This provides the ultimate in bike security by providing commercial strength tubing that allows U-Lock locking. The UNI-BEAM design provides a flowing pattern that is asthetically pleasing as well. 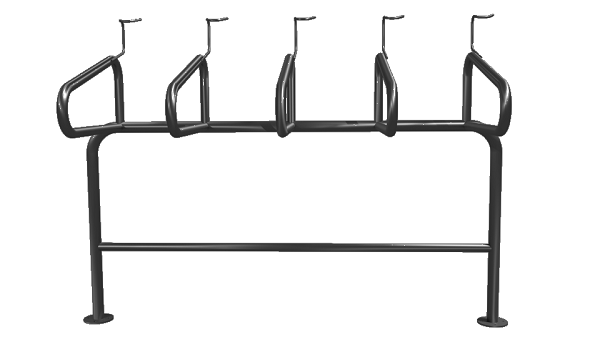 Designed to fit a bike every 16 inches in a vertical configuration. You can fit the most bikes in the smallest footprint possible utilizing the horizontal hook offset. In most cases the bikes will not have handle bar interference using the standard hook location, with the horizontal offset hook, the chances for handlebar interference becomes almost zero. 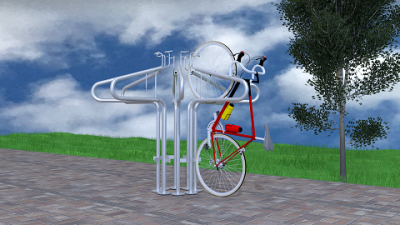 NO-LIFT design patterns are utilized to eliminate bike lifting in most cases. 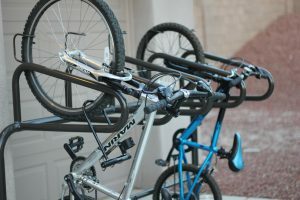 Hook height allows bikes to be rolled on their back tire, preventing the biker from lifting the entire bike off the ground. This helps protect your client from potential liability issues. This also minimizes the load on the bike tire, which minimizes the potential of tire damage. 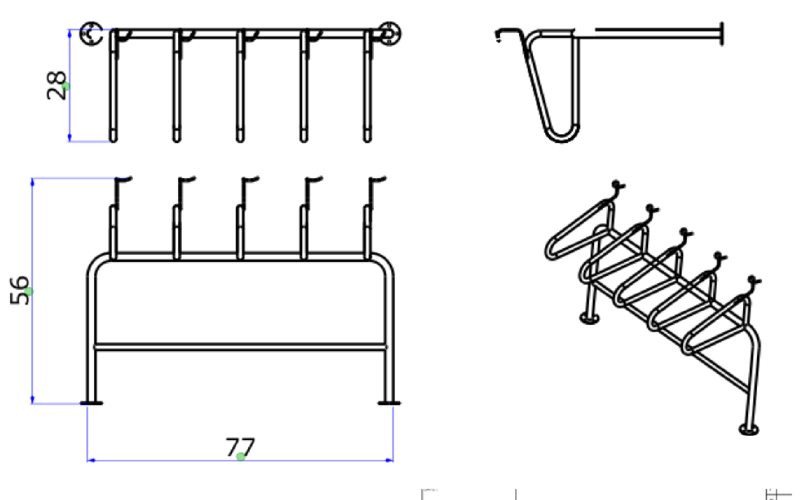 The UNI-BEAM locking dimensions are optimized to fit the sweet spot on most bikes for locking.